… a primary resource for concertina players in the Midlands and East of England. Here you will find i nformation on the group’s structure, aims and objectives, meeting venue, dates and times, and links to other associated and interesting musical sites. If after visiting the site, you are interested in our activities and would like to give us a try, then please email either Martin or John for details and information. We are pleased to welcome new members. If you don’t yet play the concertina but would like to learn, come along and give it a go. 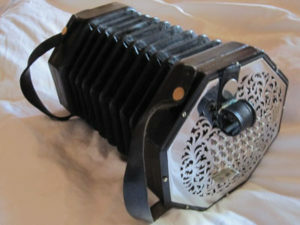 We’ll be giving tuition to anyone who wants it on English concertina, and we even have loan instruments for you to see if you like it before you buy.